Beit Shearim is one of the most famous archaeological sites in Israel, due to its remarkable necropolis, where a series of catacombs were excavated in the hill side . 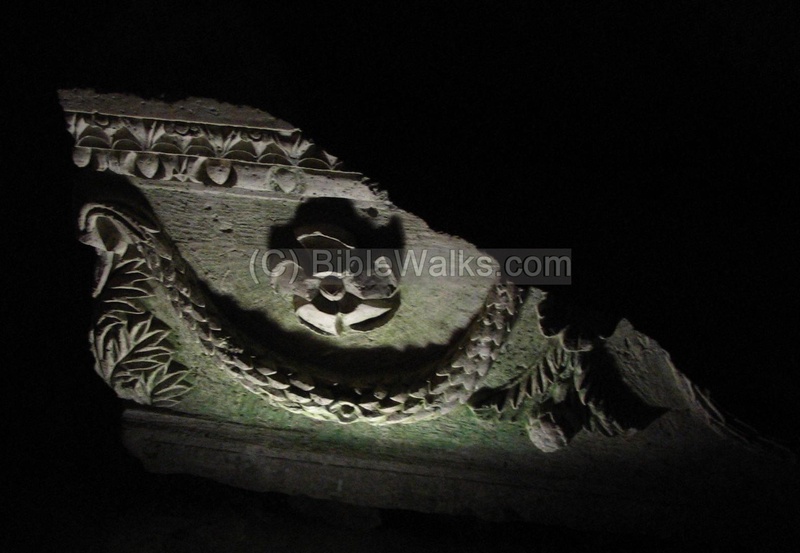 In the picture below is one of the decorated sarcophags (coffin). 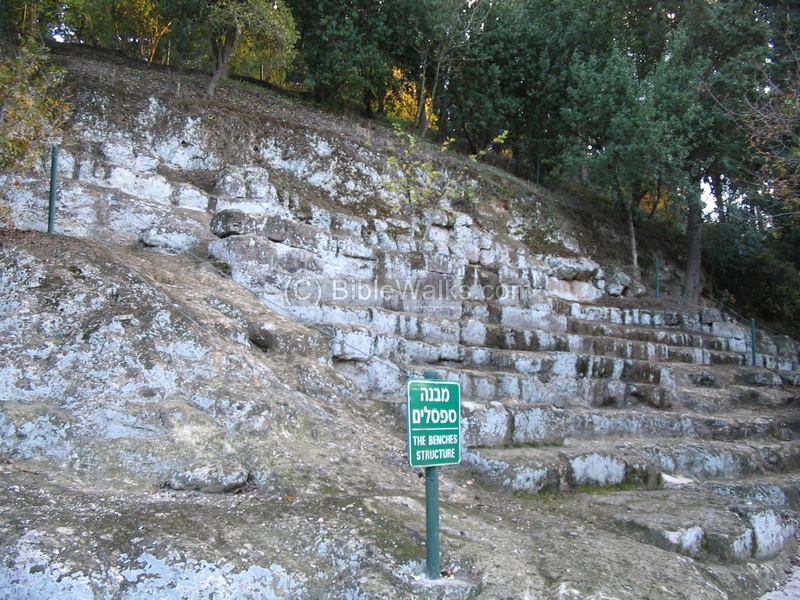 Beit Shearim (Besara) was a Hellenistic and Roman city. 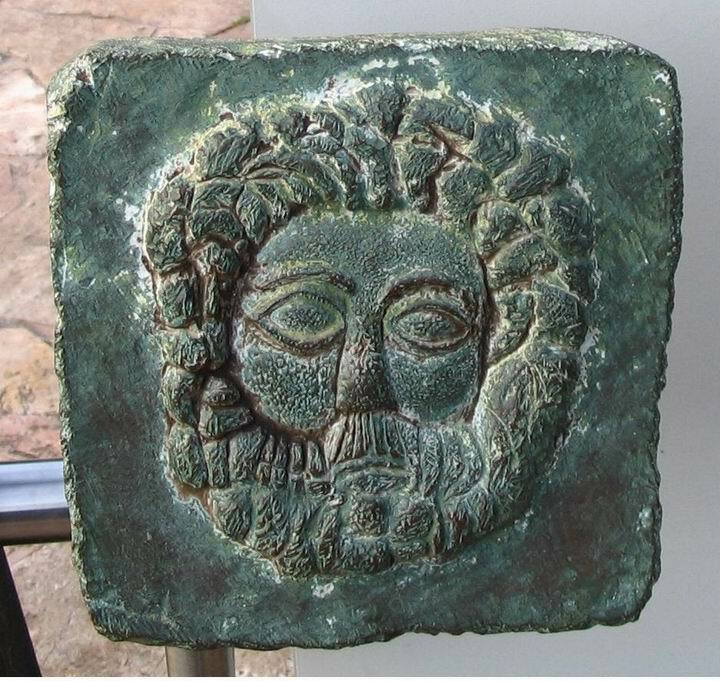 This ancient city is a famous archaeological site, due to its remarkable necropolis, where a series of catacombs were excavated in the hill side . 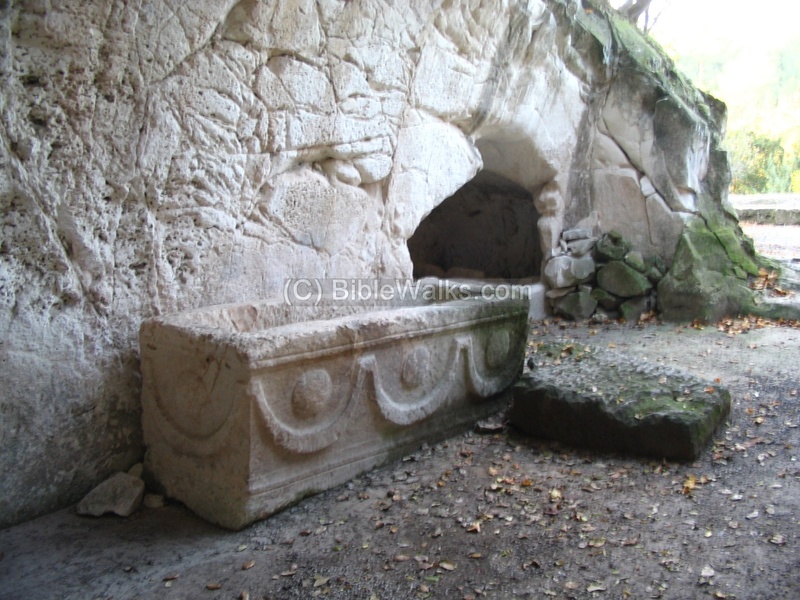 In the man-made tunnels and caves there are hundreds of coffins dated to the 2nd C - 5Th C AD. 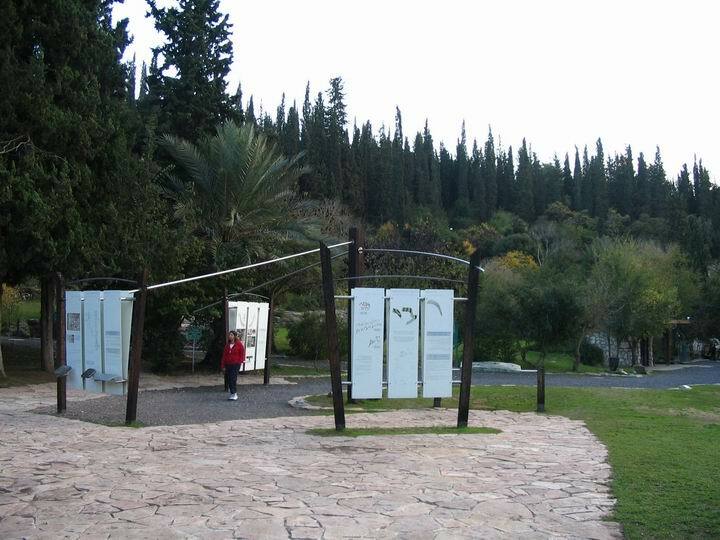 These tombs were of rich Jewish families from many countries around Israel who requested to be buried in the Land of Israel, close to Rabbi Yehuda Hannasi whose tomb is located in one of the tomb clusters. The catacombs were declared a UNESCO World Heritage site in July 2015.
the catacombs are located on the hillside below the hill. 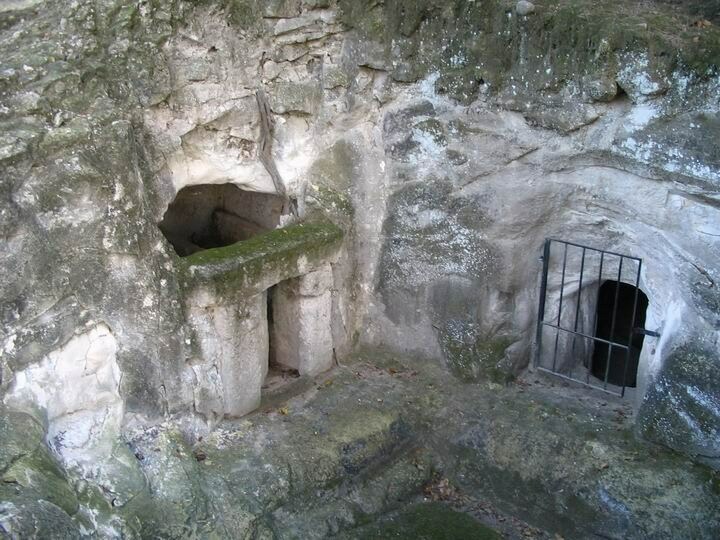 The catacombs are within a national park, secured behind gates, and you need to pay for the admission and visit the caves only within daytime hours. 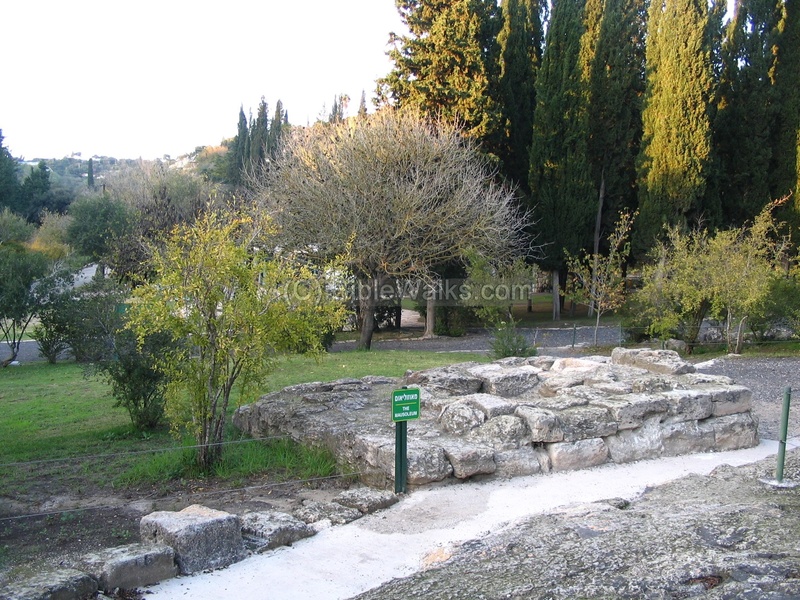 See the Beit Shearim web page for the history of the ancient city.. The Sanhedrin was the supreme judicial body during and shortly after the Second Temple period, which followed the destruction of the Temple after the Revolt against the Romans. The chief of the Sanhedrin, Yehuda Hannasi (135-220AD), lived in the village. His most important work was the collection and compilation of the 6 parts of the Mishna, which was based on the oral traditions and customs. For the Jews the Mishna was as important as the Holy Bible, and provided guidance to the daily life. He was buried in the hillside, along with his family, in cave #14. After Yehuda Hannasi's burial, the city became famous: many distinguished people, Rabbis, rich families - wanted to bury their dead in this rock-cut necropolis. 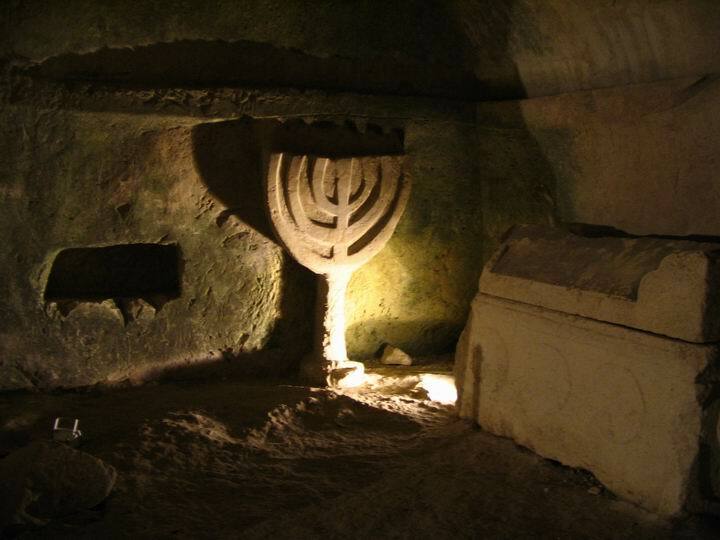 For the Jews in the Diaspora, outside of the Land of Israel, it was considered an honor to be buried in the Holy Land and alongside to the important people. After parking the car in the parking lot, you pass through a set of signs that describe the site. After reading the history of the place, you walk into one of the caves on the hillside which has a small museum. 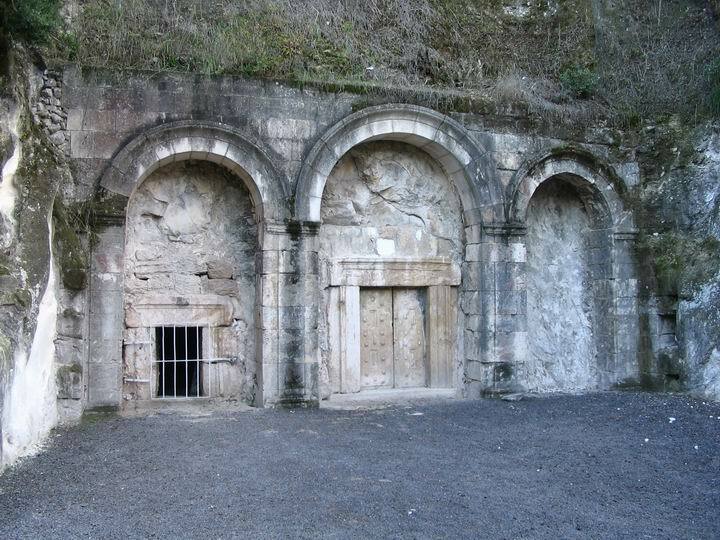 This cave was reused in Roman period as a glass production factory. An extremely large (1.95 x 3.4m) rectangular chunk of raw glass, seen in the center of the photo, was produced here and used for the glass making industry. The huge piece of glass, 8.8 tons, was created on this spot (probably between the 4th to 7th Century AD) by a furnace that melted the sand mixture inside a layer of limestone blocks. After it cooled down the piece would have been broken up then melted once again to create delicate glass vessels. 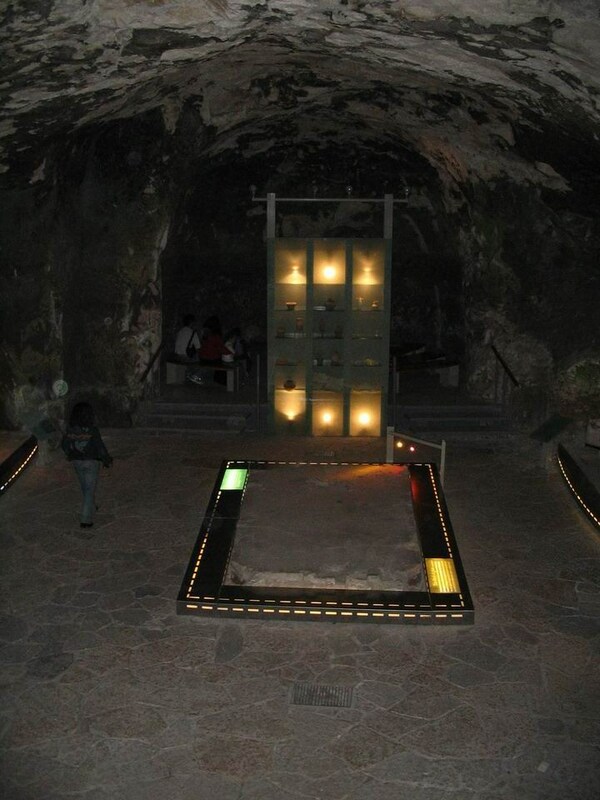 The underground museum has a number of exhibitions of glass cups, coins, models of the mausoleum, a set of tin coffins, and other artifacts. A video presentation can be viewed behind the central display. The main hall is adjacent to the visitors center cave. It has a grand entrance, as seen in the following photo. A closer look to the grand entrance is shown in the following photo. There are 3 monumental decorated arches, and also a smaller side door. The heavy stone doors look like wood, and can turn in their axis. These gates fit the Hebrew meaning of Beit-Shearim - the house of gates. Inside there are many halls of tunnels, dug into the soft limestone rock. 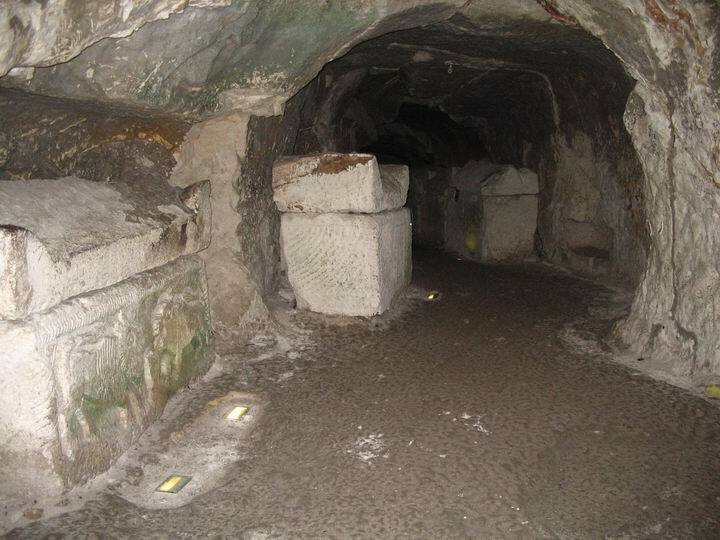 In each of the tunnels and halls are dozens of rock coffins, over 130 were found in this cluster alone, and there are more excavations not being conducted. Many of the coffins are decorated, such as the lions in the coffin below. 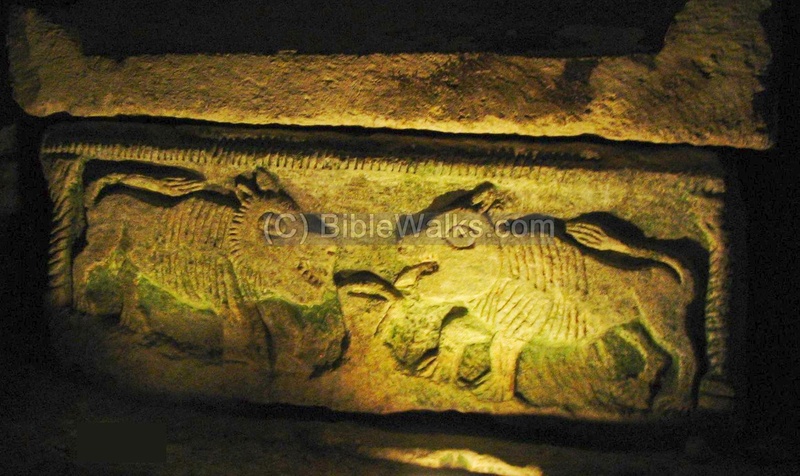 A closer look at this coffin, with the pair of lions, one of the Jewish symbols (used mostly for Jehuda and Jerusalem). 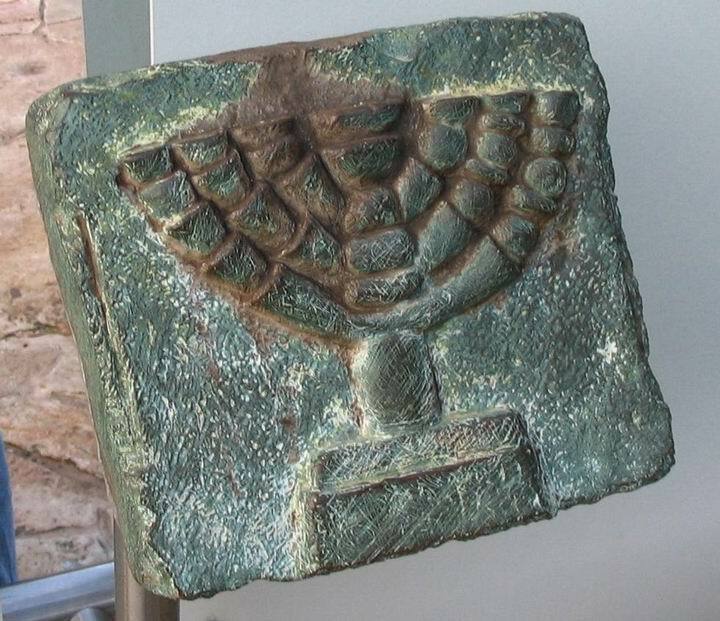 An important find is the Menorah, the symbol of the Jewish nation. In the maze of the halls of tunnels there are many interesting patterns, such as the following coffin. A detail from the menorah sarcophagus..
A detail from the "mask" sarcophagus. The experience of walking through the maze of ancient tunnels and halls, in different levels of lights and sensations, is indeed remarkable. Every new visit to the site reveals more and more details. The entrance to the catacombs of Yehuda Hannasi is similar in design to the main hall. Yehuda Hannasi (135-220AD), lived in the village, and is best known for the compilation of the Mishna - an important Jewish religious guideline. He was also the chief of the Sanhedrin, the supreme judicial body during and shortly after the Second Temple period. 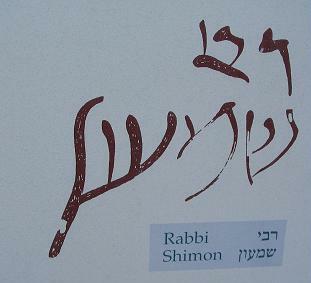 On the walls of this cave were several inscriptions with the names of the sons of Yehuda, as seen below. They were buried in grooves on the ground, not in coffins, according to his will. Near the cave is a set of benches, which were used by the assembly of people who came to the graveyard, for praying and conducting lessons in the open air. Another set of tombs is called "the lone coffin". The base of the mausoleum, seen below, was built by one of the rich persons. It was built with 4 decorated walls, depicting scenes with animals. Parts of the structure, and a model of the structure, are displayed in the underground museum. You can walk around the hillside and see about a dozen more cluster of tombs. Each cluster was purchased by a rich family, or distinguished Rabbi. 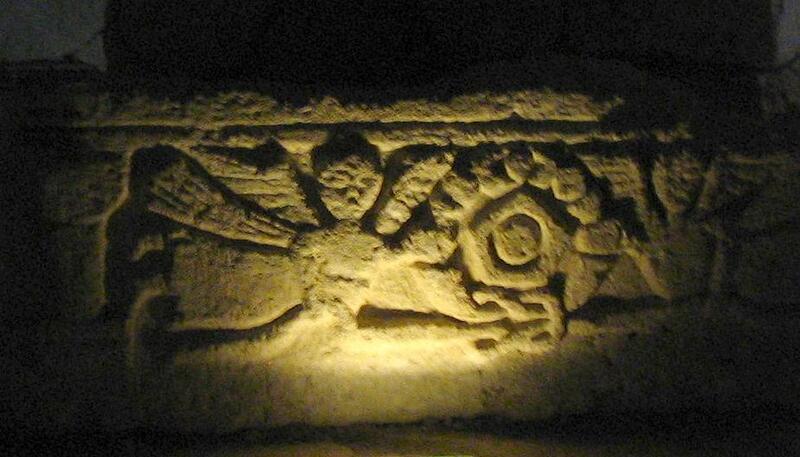 An example (Sarah's cave) is shown below. There are still many more cluster of tombs yet to be excavated. 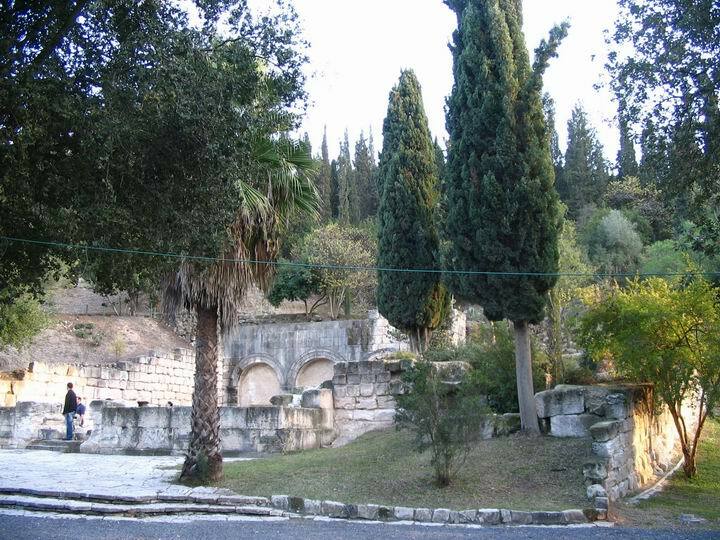 On the south side of the ancient city is another Jewish necropolis, also dated to the Roman/Byzantine period. 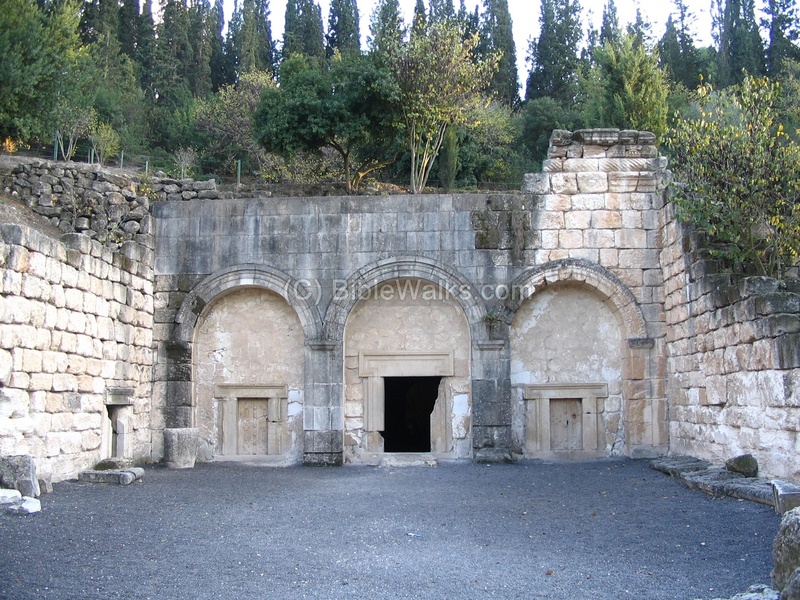 This is the new section of the national park of Beit Shearim, with amazing new catacombs. The new section will be detailed in a future web page. Sarcophagus (sarcophagi in plural) - in Greek - flesh eater. A stone coffin, intended to be a multiple use box that contained the body of the deceased for the first phase. After the flesh decomposed the bones were removed to a smaller container or pit, allowing the next member in the family to be placed in the coffin.